Book and pay for your consultation before January 1st 2017 and save £50 on our NEW pricing structure for consultations. But hurry... this offer ends on the 31st December 2016 (New Year's Eve) and spaces are filling up fast! 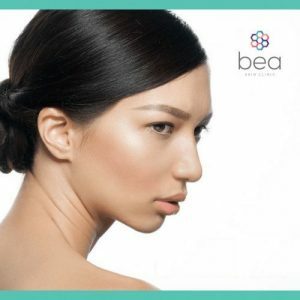 Call bea Skin Clinic today or contact us via our online form. I have sensitive facial skin with malasma & hyperpigmentation mixed with hair growth on my cheeks chin & ocassionally my jawline. Is it what I eat or what I am using? Scars heal replaced by new ones. I also have 2 deep hair root pits/open pores in my right cheek thar I have been trying to remove for years. An allergy and skin test perhaps? Please help! Many thanks for your comment. We offer a variety of melasma and hyperpigmentation treatments that are suitable for sensitive skin (for example, multi-level Skin Peels, No-Needle Mesotherapy treatments and LED Light Therapy). For best results, we often recommend a course and/or a combination approach. Although we don't yet offer allergy testing, we do offer Blood Diagnostic Testing in order to check for vitamin and mineral deficiencies, courtesy of our sister clinic, Vitamin Injections London. You can read more about this service here. Finally, if you have any further queries or would like to receive a treatment brochure, please get in touch. I am looking to lighten my skin as I have dark pigmentation on my legs in particular when I have new hair growth who razor bumps I was wondering would your surface wipes be ideal for this or possibly your lightening treatment which is 24 sessions if the latter I was wondering is this something that can be paid in installments? I've just sent you an email - please check your inbox for full details and some possible suggestions from us. Thanks for your question - there are a number of options for this. 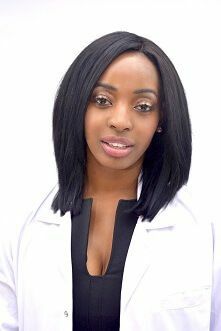 Firstly, Surface White mesotherapy treatments diminish hyperpigmentation on the face and body. Skin peels, such as the Perfect Peel and VI Peel, are designed to correct uneven skin tone. Finally, for a healthier complexion, you may wish to look into our Vampire Therapy (PRP injections), which contain growth factors.